This annual member lobbyist training and practicum gives members the opportunity to learn the ropes of lobbying, and then put those skills to use at the Capitol. 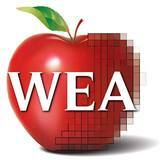 WEA will provide on-site meals and double occupancy hotel accommodations for members who attend. After the training on Sunday, members will join WEA staff, Wyoming Public Employees Association members and staff, and Wyoming legislators at the annual WEA/WPEA Legislative Reception at the Old West Museum at 4606 Carey Ave. Cheyenne, WY 82001 beginning at 6:00pm, for an evening of relationship building and refreshments. Participants will also attend the Senate Education Committee meeting on Monday morning at the Capitol. Training runs from 11:00am-4:30pm on Sunday, January 27, 2019 at Laramie County Community College. Lobbying begins at 8:00am (and runs until 11:00am) at the Jonah Building on January 28, 2019. The Jonah Building is located at 3001 E Pershing Blvd. Cheyenne, WY 82001. Contact Tammy Johnson at tjohnson@wyoea.org with questions or for additional information. To book your hotel accommodations, please contact both Andrea Shipley and Amanda Turner in the WEA Communications Department via email at ashipley@wyoea.org and aturner@wyoea.org. Please do not assume that your hotel room has been booked until you speak directly with either Andrea, or Amanda. Single occupancy: you will pay half the room rate . Room rate (including tax ) is $88.40 so your cost $44.20. Double-Occupancy is complimentary.